Even as such, the lower estimates more than cover the $52 million California budgeted for 2017-2018 to establish and run the marijuana licensing system. The $643 million also does not include local sales taxes or state license fees. It costs businesses $1,000 for a license to sell cannabis. The fees are set to cover all costs associated with permits, including background checks, and resources necessary for processing and issuing.Marijuana taxes are earmarked to fund job programs designed to curb environmental effects of illegal growers, youth prevention and treatment resources, help for communities most affected by the war on drugs, programs to prevent driving under the influence, and grants for job placement, substance-use disorder treatment, and mental health initiatives, among other causes. Each year, $15 million is also supposed to go to studies on the impact of marijuana by California Highway Patrol and universities. 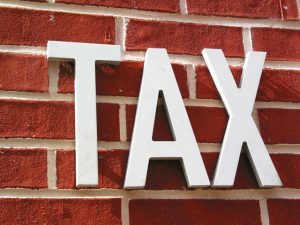 Some say the sizable taxes are harmful to users and cannabis businesses. They warn that the current tax structure puts such an intense burden on these groups that black market growers and sellers will continue to thrive. The California Growers Association is advocating to drop the retail sales excise tax from 15% to 5% and amending the cultivation tax. It is also pushing for a ballot initiative for cannabis tax reform in 2018. At the very least, the California Legislative Analyst’s Office must review and make a recommendation by 2020 as to whether the tax rate should change under the rules of Proposition 64. While some argue that a reduction in excise tax will lead to less funding for all the beneficial programs in place, it’s possible a lower tax will encourage more businesses to operate above board. The state would therefore collect from those who previously were operating illegally. It also could lead to more customers, who might find the current price point of marijuana prohibitive to purchasing consistently. The additional sales tax from these users could potentially help make up the difference in lower taxes. Others want to keep user costs high enough that minors are not able to easily acquire marijuana. Regardless of the tax rate, our Los Angeles marijuana business attorneys know the best way to run a cannabis business is legally. It may be tempting to cut corners, but as regulations and enforcement strategies become more solidified, illegal operations will have fewer places to hide. Our knowledgeable attorneys will help you get a business plan in place that will keep you in compliance with state and local laws and protect you in the long run.